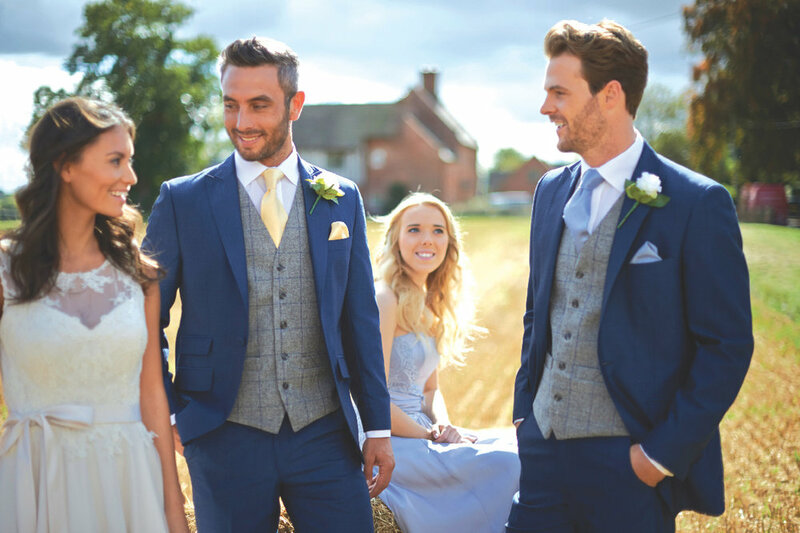 Affleck & Moffat has a large variety of wedding wear available in stock, you need look no further to find the perfect outfit for your special day. Our team is on hand to help you choose an outfit from our beautiful collection of men’s formal hire in a friendly and relaxed atmosphere. We offer a large range of Wedding suits from Tails, slim fit Lounge suits to Dinner suits. So, whether traditional morning Tails or a contemporary Lounge suit is the order of the day, we have a selection of fine tailoring to suit your needs. We also do alterations to guarantee that you will look and feel perfect on the day. Our extensive range of waistcoats, scrunch ties and cravats are designed to add the finishing touches to your look. Accessorise further with top hats, handkerchiefs, canes and cufflinks.